So why would Darwinians be so very disturbed by him? Because Behe doesn't believe the world came about by chance. While studying the human cell he realized the microscopic machines within it are so intricate and complex it's inconceivable they could have come about via only random mutation and natural selection. The cell's outboard motor and "irreducible complexity"
"Perhaps the most amazing propulsion system on our entire planet is one that exists in bacteria. It is called the flagellum, a miniature propellor driven by a motor with many distinct mechanical parts, each made of proteins. The flagellum's motor resembles a human-designed rotary engine. It has a universal joint, bushings, a stator, and a rotor. It has a drive shaft and even its own clutch and braking system. In some bacteria the flagellum motor has been clocked at a 100,000 revolutions per minute. The motor is bi-directional and can shift from forward to reverse almost instantaneously. Some scientists suggest it operates at near-100% energy efficiency. All of this is done on a microscopic scale that is hard to imagine. The diameter of the flagellum motor is no more than 5 millionths of a centimeter." In his book, Darwin's Black Box, Behe argued that Darwinian evolution could not account for micro-machines like this because Darwin required all complex living things to have evolved through a step-by-step process from simpler lifeforms. Behe couldn't see how these micro-machines could have developed in stages. They were, as he put it, "irreducibly complex" – take one piece out, and they don't simply function less efficiently, but instead seize functioning at all. The flagellum motor is astonishing, and yet it's only one of many "molecular machines" scientists have discovered in the last several decades, all of them operating with a single cell. Some of the others include: "energy-producing turbines, information-copying machines, and even robotic walking motors." The documentary shows that since Behe first poised the problem of "irreducible complexity" many have tried to address it, but with no real success. But because they are trying to avoid being labelled as a religious movement they won't name the "Intelligent Designer." This is the ID movement's greatest flaw: in this refusal they are not giving God the glory that is His due! Since the "good guys" in this film hold to a wide variety of views on the age of the Earth, Who made it, and to what extent He made use of evolution, this is not a film for the undiscerning. That said, this is an important and well-made documentary. 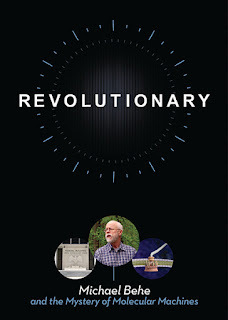 Revolutionary shows how Behe became one of the fathers of the Intelligent Design (ID), and in documenting his history, they also provide a overview of ID movement itself. That's the best reason to see this film – to get a good introduction to a movement that questions unguided, Darwinian evolution, on scientific grounds. In just one hour it traces the impact Behe has had on the Darwinian debate since his pivotal book, Darwin's Black Box, was published two decades ago. There's a lot packed in here, and it is well worth repeated viewings. While Revolutionary is important and has some wonderful computer animations of the inner workings of the cell, it is not for everyone. Since the central figure is a mild-mannered sort, it just isn't going to grab the attention of children or other casual viewers. And – bonus! 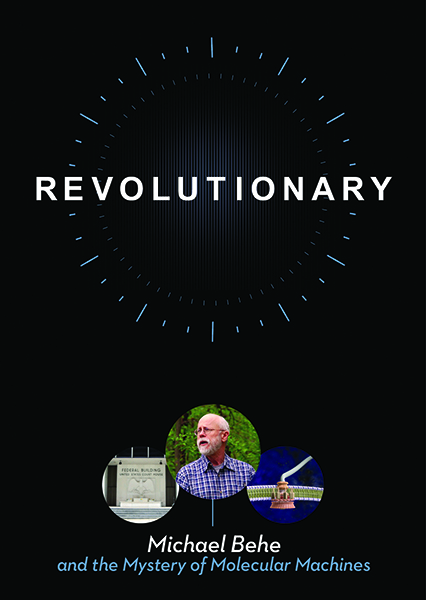 – it is now available to be viewed online for free (see below) and if you want to explore further, their website – http://revolutionarybehe.com – has a wealth of information.